This beautiful quilt looks like a watercolor painting and is made with digitally printed fabric from the RJR Fabrics line Wildwood Way, with lots of vibrant purple, green and white florals, and a white sashing and border. The back is a cozy purple polka dot flannel, with a stripe binding. 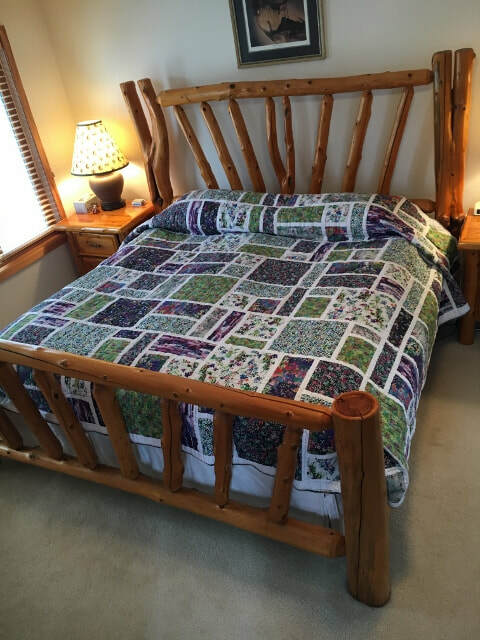 This quilt is machine quilted with an all-over square dance design using colorful variegated thread.